I can't even comprehend that I haven't posted this one already..and I seriously hope thats not an oversight! You could look through the postings and BUST me for cheating! If I did already post it and this is a second 'pressing' pun intended..then I will make it up to you.. but, I'm hoping not. I should have posted it a long time ago because its one of my all time favorite funk - anthem 45's. It's got a really great message and although its not featuring any 'open' breaks its got that covered for the background a plenty. Those congas and the excellent keyboards make for a beautiful jam. I've always been partial to this formula of deep message, seeming that the singer truly cares in what he's preaching and the delicate touch of keys sprinkled throughout. It sounds the most like one of my fave Gil Scot Heron. But, THIS is Jimmy Jones and he has some other interesting tunes as well. This is of course by all means my absolute favorite. 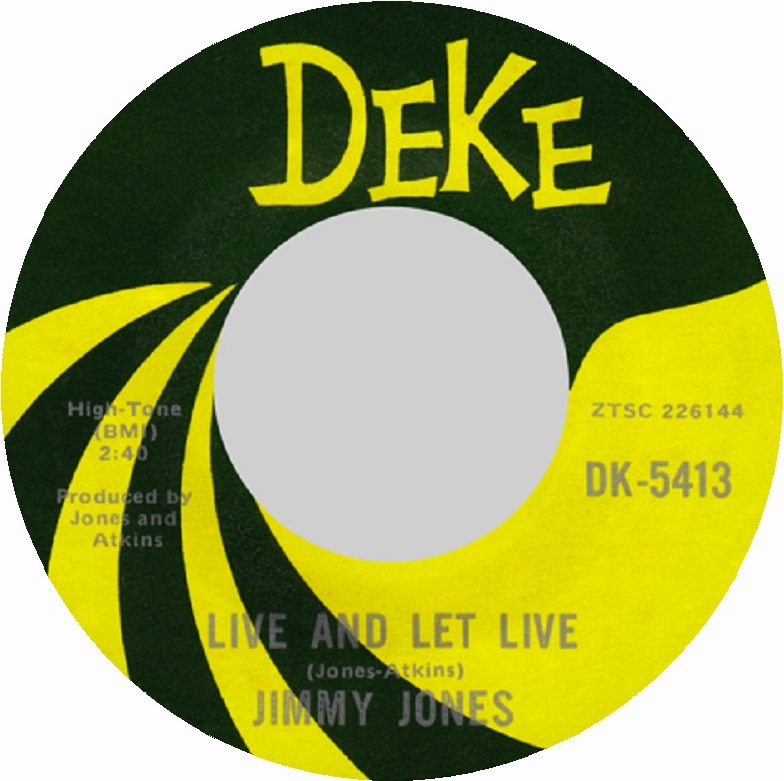 This IS the same Jimmy Jones also called Jimmy 'Handyman' Jones, and who had a long career recordings sides for different labels, savoy, cub, and mgm. Nothing really took off for him and most people don't know of him, But he's LOVED by us in the deep soul community. Sadly Jimmy passed away last year. Much like a LOT of heros in the funk and soul world.. some of those whom I didn't get around to covering and some that I did.. Jimmy Castor, Etta James.. the list seemed to go on forever. Rest In Peace Jimmy Jones! If you're up there reading this..WE LOVE YOU!